Buy cheaper, sell faster, or rent the perfect place. 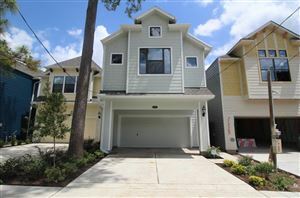 FIT Properties is your Houston realtor expert. Choosing the right real estate firm to work with is an important part of the home buying process. Reputation and experience are vital in decided who to work with. This is why we encourage you to check out our past client reviews, and then schedule some one-on-one time with us to make sure we’re the right fit for your home search or for the sale of your home. FIT Properties works all over Houston, while wielding an additional focus and expertise around the communities of the Houston Heights, Garden Oaks, Montrose, River Oaks, Neartown and many other central Houston areas. We know it like our backyard, and we’re just down the street for easy access. Featured list of properties that have just come on the market. Choosing the right real estate firm to work with is an important part of the home buying process. Here are few of the key services we offer. We are listing experts that will help you with nearly every aspect of your home sale so you feel confident in your listing, and in the best position for a quick sale. We'll find the perfect FIT for your family rental, and walk you through every step of the way. There can be a thousand reasons that a home could fall into a state of disrepair, sometimes major issues and in other instances it's just minor inconveniences. The market analysis is a service we offer potential home sellers to determine home sales trends within in your area. We have supporting agents to help every step of the way from buying, selling or investing. It’s not just a house. It’s home. Whether you’re looking to buy, sell, or lease. FIT Properties comes prepared on all fronts to provide you with unmatched service to find you the perfect home. Checkout the feedback from a few of our satisfied clients.